Young people are being asked how important parks are to them and how they would like to see them improved. Charity Groundwork's #GiveUsSpace campaign wants young people to voice their views on parks, which are under threat as budgets are reduced. 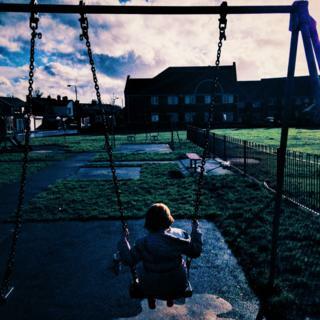 A parliamentary inquiry is currently assessing the impact of local authority budget cuts on parks, and whether these open spaces' future are under threat. An estimated 2.7 billion visits each year are made to the UK's 27,000 parks. "One of the things that we at Groundwork have been very conscious about over the years is that young people get a particularly raw deal," said Graham Duxbury, chief executive of the environment charity. "If you look at the evidence, young people are one of the groups in society that spend more time in their local park, and surveys have shown that they are also more unsatisfied with their park than other groups within society." Mr Duxbury said it was important that the voices of those who use the amenities the most are heard by those making decisions about the future of the parks. MPs on the Communities and Local Government Select Committee are currently carrying out an inquiry into the future of public parks. They are examining the impact of reduced local authority budgets on these open spaces, while considering "concerns that their existence is under threat". Committee chairman Clive Betts MP said: "We will be keen to find out about innovative and successful approaches to managing and funding parks and what (the) government can do to support these." He added: "we know people value their local spaces, and we want to develop a clear picture of the community benefits of public parks as well as who is using them, how often and for what?" Local authorities are not legally required to fund or maintain public parks and as their budgets are being squeezed, councillors are looking for ways to reduce their spending. Mr Duxbury said the #GiveUsSpace social media campaign would allow young people to submit their thoughts to the MPs' inquiry. He told BBC News that a YouGov survey commissioned by Groundwork showed that 70% of the 16-24 year olds question wanted to be involved in the decision-making process regarding their local park or open space. "One of things we were trying to point out was that there was a lot of appetite, enthusiasm and interest among young people about their local park," he observed. "They want to get more involved and they have ideas of how [these spaces] would be designed, planned and managed. "But very few young people do get the opportunity to get involved, he said adding that he hoped that the #GiveUsSpace would act as a "channel" for those wanting to share their thoughts and ideas." The MPs are also trying to reach this age group, encouraging people to use the hashtag #myparkmatters to submit their ideas and thoughts. The closing date for public submissions to the inquiry is Friday, 30 September. Does outdoor play help keep the doctor away?